It’s a field that studies the implications of neuroscience for human self-understanding, ethics, and policy. What are some examples of neuroethics? As we understand better the circuitry and molecular biology of how the brain’s memory systems work, the next step might be to think about drugs to help us remember better. This could appeal to students seeking better grades. Drugs that could enhance athletic performance might be attractive to people seeking a competitive advantage. Ethical issues arise, when we begin to consider whether these drugs should be available, to whom, under what circumstances, and whether they are even safe and effective, or how their use would affect the way we view the value of education and sport in our culture. There also might be consequences for social policy. For example, understanding how a child’s brain develops could inform educational policy and impact a child’s educational potential. Another example is the potential to use neuroscience to design neurotoxins (nerve agents) that disrupt memory or alter brain functions in other ways, which would be formidable bioweapons. Ethical dilemmas also arise when we think about brain imaging techniques that could make it possible to tell when someone is lying, or make assumptions about sanity or guilt in criminals with different brain characteristics. There are also questions about the use of brain imaging in the workplace and marketing experts are using neuroscience studies to find ways to influence the way we make decisions and purchases. The Galactic Public Archives takes bite-sized look at neuroethics. What are some differences between neuroethics and bioethics? What are some of the most interesting topics in neuroscience right now? How is neuroethics relevant to the daily lives of most people? Why was a neuroethics society formed? A group of neuroscientists, psychologists, philosophers, bioethicists and lawyers—who knew each other and who had all been involved in the Dana Foundation–sponsored Neuroethics: Mapping the Field conference that was held [in 2002] in San Francisco—got together a second time at a seminar and discussed whether this would make sense. We decided to form a society because we feel that there are issues related to the nervous system that are not neatly contained within traditional bioethics. In particular, there are issues that relate to the functioning of the brain—after all, the brain, being the seat of thought and emotion and behavioral control, has a special resonance for, among other things, being itself the seat of ethics. We wanted to create bridges between advances in neuroscience and the world of policy and ethics. The above material is courtesy of The Dana Foundation and was derived from an interview with Stephen Hyman. 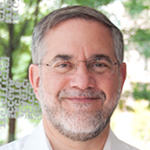 Steven E. Hyman, MD is the Director of the Stanley Center for Psychiatric Research at the Broad Institute and is the Harvard University Distinguished Service Professor of Stem Cell and Regenerative Biology. Hyman is the Editor of the Annual Review of Neuroscience and the founding president of the International Neuroethics Society.